Mark is a graduate of Loyola University and Tulane Law School. 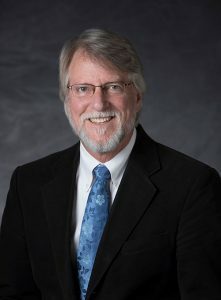 He has practiced law for more than 28 years, but practices primarily as a mediator and arbitrator with his own firm, Resolutions by Mark A. Myers PLC (http://www.resolutionsadr.com/), with offices in Slidell, Mandeville and New Orleans, LA. Mark serves as a member of the ADR Statewide Council of the Louisiana State Bar Association, as a board member of the Association of Family & Conciliation Courts, and as a member of the St. Tammany Inns of Court. Mark is a graduate of Leadership Northshore (1993) and has served many years as the Chairman of the Board of Trustees. He also serves as the Chairman of the Board of Commissioners of the St. Tammany Tourist & Convention Commission, and as Chairman of the Civil Service Board of St. Tammany Fire Protection District No. 1. Mark is a member of the St. Tammany Leadership Council of the United Way of SE Louisiana, and is Chairman of their annual fundraising event – Glitz, Glamour & Giving. He is a member of the East St. Tammany Chamber of Commerce and the Slidell Northshore Rotary Club. Mark, a Slidell resident since 1972, is married to Victoria Arboleda Myers, with two grown children, Sarah and Jacob.